This past summer, I lost my job and was out of work for several months. It was a rough year for a lot of reasons, but we were able to rebound and are doing well today. I mention this experience not to garner sympathy; I know that many others had it much worse. I’m a 40-year-old white guy, so our system is in place to benefit me. It’s been that way for too long, and our current landscape could get much worse. I hate to be cynical but do not see positive signs when I consider who’s leading this country. We're in the middle of the last gasp of a patriarchal structure that needs a major overhaul. I live in Missouri, a state that has moved further to the right in recent elections. I’ve called my senators and representatives, but those efforts can only accomplish so much. I’m a film fan and manage this site, so I do have control over this small pocket of the Internet. During the past year, many film bloggers and other cinephiles participated in the 52 Films by Women project. I’ve decided that it’s time for me to join up and do the same. I may talk a good game, but my viewing habits still veer way too much towards movies by white guys. It’s time to fix those trends. Women accounted for just 7% of all directors working on the top 250 domestic grossing films, down 2% from 2015. Only 13% of writers, 17% of executive producers, 24% of producers, 17% of editors, and 5% of cinematographers were women. Just 3% of composers on the top 250 films were women. A stunning 35% of films employed 0 or 1 woman in key roles. I knew there was a serious problem, but these numbers are even worse than I expected. In particular, the small percentage of directors remains embarrassing for the industry. There’s still a perception that women can’t direct blockbusters; a glance at the men behind the Marvel, DC, and Star Wars films is an easy way to start. I’m hopeful that Patty Jenkins will help to change that perception with Wonder Woman this year. From top to bottom, we must use our dollars and voice to support movies from women or risk seeing few changes to the formula. It’s easy for me to look at the numbers and decry the sexism that keeps them so low. That accomplishes little and is actually hypocritical given my own recent history. I may have supported Kelly Reichardt’s Certain Women and Ava DuVernay’s 13th in recent months, but those examples are anecdotal. The trends aren’t any better for me when I retrieve the overall numbers. Here’s a sobering look at my movie viewing habits in the past three years. Back in 2013, I made a similar conscious effort to see films directed by women and watched six in a marathon. Even so, my numbers from that year were not much better. I saw 136 films and still only watched nine directed by women (6.6%). Are you sensing a pattern here? This should help explain why I’m pushing myself further in 2017. I understand the issue but haven’t made any significant increases in my viewing habits. This trend needs to change. During the first two weeks of January, I’m on track and have watched two interesting films. The first was DuVernay’s I Will Follow, her first dramatic feature. It’s a low budget affair that clicks because we care so much about the characters. Salli Richardson-Whitfield shines in the lead role as a woman grieving the death of her aunt. I’m not familiar with Richardson-Whitfield's other work and will definitely be on the lookout for her. 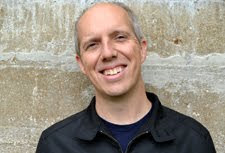 It’s a quiet story yet connects with me because the characters feel real. I could empathize with all of them even when they’re struggling. 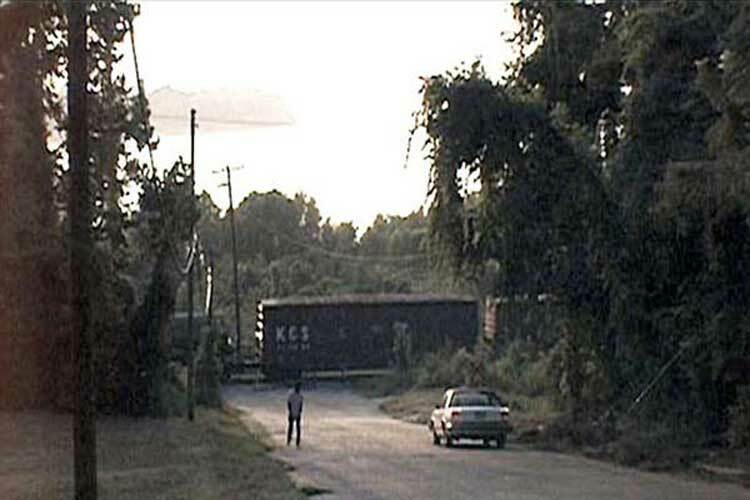 My second film was Chantal Akerman’s documentary South (Sud), which depicts the Texas town of Jasper following the murder of James Byrd. I’m sad to admit this was my first Akerman film. There are long stretches of time where Akerman just shoots the town and lands around it. Despite the beauty on display, there are moments that become a little tedious. The film stays afloat due to conversations with various citizens about the area’s racist history and the brutal killing. There are no easy answers to the problems, especially when economic struggles come into play. I definitely need to see a lot more of Akerman’s filmography. I don’t mean to overstate the importance of this project. It’s a drop in the bucket compared to everything that’s possible. Given the awful political climate led by our president-elect, it’s easy to feel powerless. Changing my viewing habits is one way that I can make a small difference in how I perceive the world. I’m also planning to blog about these films whenever possible and look for ways to support them commercially. It’s one thing to talk about supporting female directors on social media and this blog. The real work comes on the business side. Money talks, particularly with conservative studio leaders. They need to see the commercial value in supporting diverse voices. It’s less idealistic but the most important move to change the game. After losing my job last summer, I was calm for most of the time. There was just an unsettling feeling in the pit of my stomach. That sensation has been present lately, particularly when I read the news. Horrifying decisions and statements are coming from our leaders, and it’s easy to throw up our hands. There’s still a lot for me to learn, and it’s time to do something positive. I’ve put together a watchlist on Letterboxd of films directed by women that I should see. I’ve also organized a Letterboxd diary where I’ll add each selection for this project as I watch it. If you have any recommendations of films to see, I’d love to hear them. Learn more about the 52 Films by Women project at the Women in Film site. You can also see what others are doing on Twitter at #52filmsbywomen. Agnes Varda's Vagabond is on your list. It's a tough film and a good one, but I like both The Gleaners and I and Cleo from 5 to 7 quite a bit better. How about The Piano? The Ascent is worth your time. I also strongly recommend The Bigamist. Thanks Steve. I'm a big fan of Cleo from 5 to 7, so I should probably add The Gleaners and I too. I added a few Jane Campion films to the list since Filmstruck has them available. I should also add The Piano, which is part of it. I've since scenes from it but not all the way through. I'll definitely add the others to the list too. I noticed many on letterboxd participating in that particular project so I'm sure you can find lists of films to see. I agree Akerman can be a little tedious, I've put off watching her best-known film Jeanne Dielman for that very reason. If you are open to including feature length docs for the project I suggest Dreams of a Life by Carol Morley and The Decline of Western Civilization by Penelope Spheeris. Thanks for all the recommendations. I've seen a few of them and have some marked down already, but there are still others that I've added to the list. There are quite a few cool options!